After the first three quarter-finals of the David Crichton Cup today (Sunday), sides going through to the semi-finals are Amble Tavern, Bedlington Social Club United and Blyth Town Sunday. The final quarter-final takes place next weekend. Amble Tavern went through with a 3-1 away win against Newbiggin New Ship. Bedlington Social Club just overcame Newsham Victory by the odd goal in three. The Sun Inn were no match against the very strong Blyth Town Sunday side, with the Blyth side winning by 8-2. Next weekend, Ashington Town Mortimer take on East Chevington in the final quarter-final, the winners will play Amble Tavern. 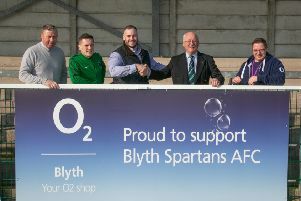 The first semi-final sees Blyth Town Sunday at home against Bedlington Social Club United.